Processors with large numbers of cores are becoming commonplace. In order to utilise the available resources in such systems, the programming paradigm has to move towards increased parallelism. However, increased parallelism does not necessarily lead to better performance. Parallel programming models have to provide not only flexible ways of defining parallel tasks, but also efficient methods to manage the created tasks. Moreover, in a general-purpose system, applications residing in the system compete for the shared resources. Thread and task scheduling in such a multiprogrammed multithreaded environment is a significant challenge. In this thesis, we introduce a new task-based parallel reduction model, called the Glasgow Parallel Reduction Machine (GPRM). Our main objective is to provide high performance while maintaining ease of programming. GPRM supports native parallelism; it provides a modular way of expressing parallel tasks and the communication patterns between them. Compiling a GPRM program results in an Intermediate Representation (IR) containing useful information about tasks, their dependencies, as well as the initial mapping information. This compile-time information helps reduce the overhead of runtime task scheduling and is key to high performance. Generally speaking, the granularity and the number of tasks are major factors in achieving high performance. These factors are even more important in the case of GPRM, as it is highly dependent on tasks, rather than threads. We use three basic benchmarks to provide a detailed comparison of GPRM with Intel OpenMP, Cilk Plus, and Threading Building Blocks (TBB) on the Intel Xeon Phi, and with GNU OpenMP on the Tilera TILEPro64. GPRM shows superior performance in almost all cases, only by controlling the number of tasks. GPRM also provides a low-overhead mechanism, called "Global Sharing", which improves performance in multiprogramming situations. 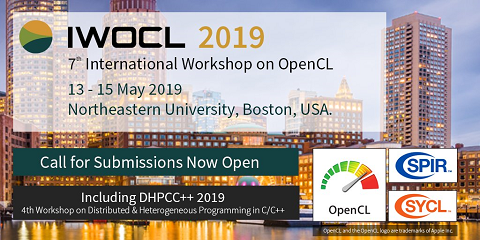 We use OpenMP, as the most popular model for shared-memory parallel programming as the main GPRM competitor for solving three well-known problems on both platforms: LU factorisation of Sparse Matrices, Image Convolution, and Linked List Processing. We focus on proposing solutions that best fit into the GPRM’s model of execution. GPRM outperforms OpenMP in all cases on the TILEPro64. On the Xeon Phi, our solution for the LU Factorisation results in notable performance improvement for sparse matrices with large numbers of small blocks. We investigate the overhead of GPRM’s task creation and distribution for very short computations using the Image Convolution benchmark. We show that this overhead can be mitigated by combining smaller tasks into larger ones. As a result, GPRM can outperform OpenMP for convolving large 2D matrices on the Xeon Phi. Finally, we demonstrate that our parallel worksharing construct provides an efficient solution for Linked List processing and performs better than OpenMP implementations on the Xeon Phi. The results are very promising, as they verify that our parallel programming framework for manycore processors is flexible and scalable, and can provide high performance without sacrificing productivity.